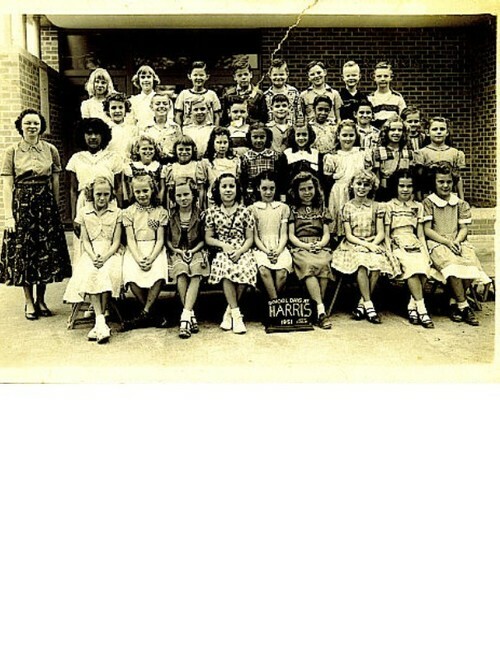 Linda Little Strickland submitted this Harris Elementary photo. John Echoff submitted the other Harris 1951 class photo, posted earlier in this album. It would be great to get some photo identifications to add to this caption. I believe that is Linda on the front row, 2nd from left. Correct?